Addressing high and rising out-of-pocket spending on prescription drugs is one of the four main issues raised in the Trump Administration’s prescription drug policy blueprint. A new USC Leonard D. Schaeffer Center for Health Policy & Economics study finds that adding an out-of-pocket cap to Medicare’s prescription drug benefit – Medicare Part D – would provide important financial protection for beneficiaries with high drug spending. Unlike most insurance plans that people get through their employers, Medicare Part D lacks a cap on out-of-pocket spending. Instead, after a beneficiary spends about $5,000 out-of-pocket on prescription drugs (including any coverage gap discounts), they hit catastrophic coverage, after which they pay five percent of the cost of all prescription drugs for the remainder of the year. 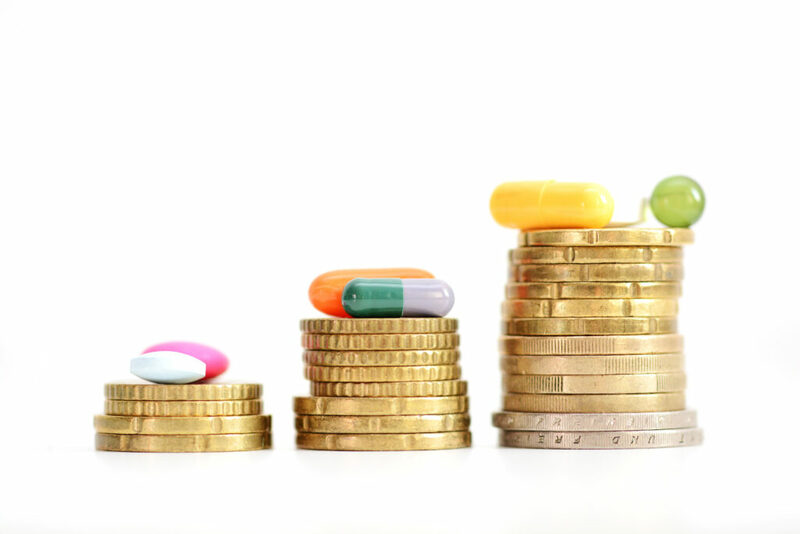 Though five percent seems small, the rapid increases in spending on high-cost specialty drugs in recent years means that beneficiaries who need these drugs face high and growing out-of-pocket spending on prescriptions despite having insurance. The study, published in the July 2018 issue of Health Affairs, found that, in 2015, more than one million Part D enrollees who were not eligible for assistance with their out-of-pocket drug spending reached the catastrophic coverage phase of their benefit – more than doubling since 2007. In every other health insurance market, plans are required to have a cap on out-of-pocket spending, or enrollees can purchase supplemental coverage that provides this financial protection. Part D beneficiaries who qualify (based on their financial resources and annual income) can enroll in a low-income subsidy program through which the federal government pays all or most of their cost-sharing for prescription drugs. Historically, most beneficiaries with high drug spending also qualified for this support, so they were protected even though there was no cap on out-of-pocket spending. This has changed in recent years though. Trish and her colleagues found the share of beneficiaries with high drug spending who do not qualify for assistance increased considerably, from 18 to 28 percent of the portion reaching catastrophic coverage from 2007 to 2015. While the share of beneficiaries reaching catastrophic coverage held steady over that time period, the researchers found that spending per beneficiary who reached catastrophic coverage grew rapidly, especially for those who did not qualify for the low-income support. These individuals face high and growing out-of-pocket costs with many taking high-cost drugs to treat chronic conditions, such as multiple sclerosis and rheumatoid arthritis, so they face high out-of-pocket costs year after year. “The rapid increase in high-cost specialty drugs that we have seen recently has magnified this issue,” said co-author Geoffrey Joyce. “For such patients, these drugs are absolutely necessary for their health and quality of life. Yet, their out-of-pocket costs have risen considerably and tend to persist year after year.” Joyce is director of health policy at the USC Schaeffer Center and an associate professor at the USC School of Pharmacy. At its core, insurance is about risk protection. Capping out-of-pocket spending in Part D just like most other insurance plans would provide this security for Part D enrollees. Recent proposals to reform Part D have included caps on out-of-pocket spending, illustrating that policymakers are recognizing this growing issue. A common concern is the effect that a cap would have on premiums. Trish and her colleagues estimate that implementing a cap for all Part D enrollees in 2015 would have raised premiums by only one to four percent – amounting to a monthly premium increase of less than $1.50. Though most attention is focused on enrollees with consistent high drug spending, the researchers note that high drug costs mean just one prescription could push someone into catastrophic coverage. For example, they found that in 2015, 16 percent of the beneficiaries who reached catastrophic coverage and did not have the low-income subsidy had a single claim that would have put them in catastrophic coverage. An additional co-author on the study was Jianhui Xu, a doctoral student at the USC Price School of Public Policy and the USC Schaeffer Center. This research was supported by the National Institute on Aging (Award Nos. PO1AG033559 and P30AG024968). Additional support was provided by the Leonard D. Schaeffer Center for Health Policy & Economics at the University of Southern California.